Were 75p, now just 50p! 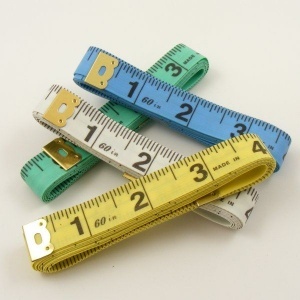 It's always best to measure twice and cut once, as the saying goes! 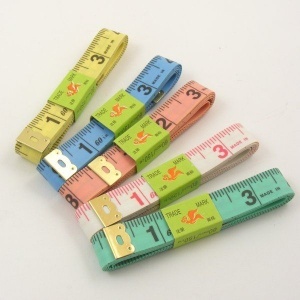 This is a flexible plastic measuring tape, showing metric measurements up to 150cm and imperial measurements up to 60 inches / 5 ft.
We can't guarantee which colour tape you will receive, but you are welcome to let us know if you have a preference!